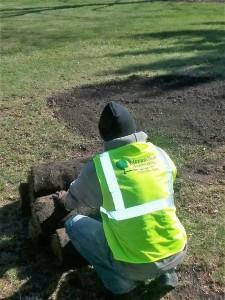 Sod is an excellent way to establish your lawn quickly, easily, and efficiently! It can be used to repair those unsightly areas of your lawn that have been ruined by the harsh elements and refuse to grow grass. Furthermore, Sod can be installed to replace your entire lawn and existing grass to bring you a healthy, beautiful, and lush green lawn! Let’s get your new lawn installed today! Call Streamline Landscaping NOW to get a free quote 708-296-4081!